A truly magnificent piece of English art nouveau furniture. This beautiful red walnut late Victorian double bed comes complete with a newly made slatted pine bed base. 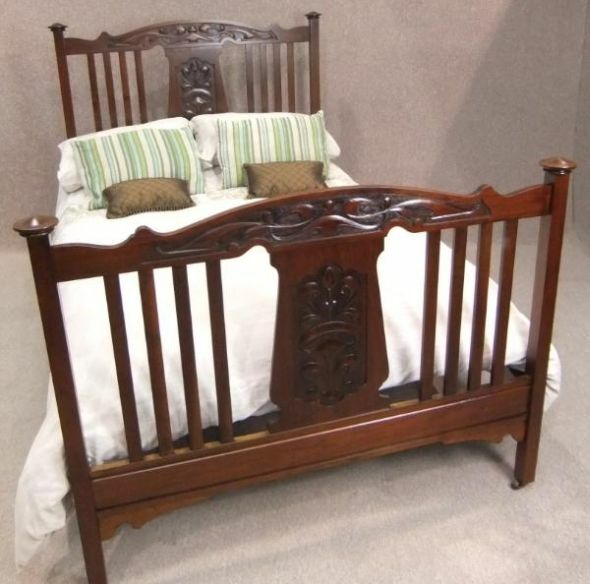 The bed is in excellent condition, and would make a beautiful addition in any period bedroom setting.